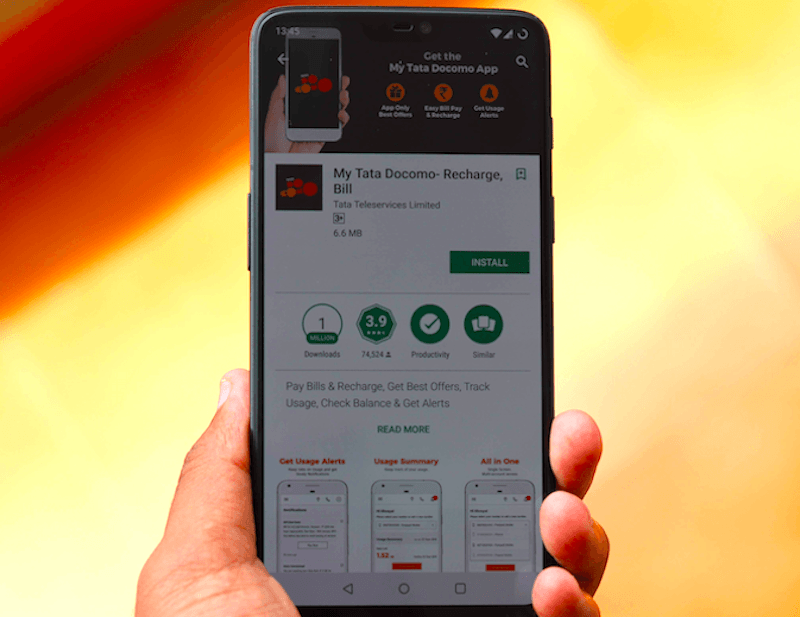 Tata Docomo, the soon-to-be-merged entity of Bharti Airtel has recently removed talk time recharges for prepaid users following the footsteps of other private telcos. With the removal, Tata Docomo introduced a Rs 23 prepaid plan which extends your account validity by 28 days. However, the telco is not stopping right there as it has now introduced an entry-level prepaid plan of Rs 88 which not only provides unlimited voice calling benefit but also extends your prepaid account validity by 28 days. Right now, the scenario is very clear from private telcos- if you don’t recharge within 15 days after your unlimited plan’s expiry, you won’t be able to make any outgoing calls. The Rs 88 prepaid recharge from Tata Docomo also offers 100 SMS per day. Talking about the newly introduced plan of Rs 88, Tata Docomo is shipping unlimited local, STD and national roaming voice calls, along with 100 SMS per day for 28 days. Although Tata Docomo is marketing the plan as unlimited voice calling plan, it’s capping the calls to 250 minutes per day. As of now, there’s no info on voice calling limit for weekly usage. Vodafone Idea is providing 1000 minutes of voice calling to users every week with the unlimited combo prepaid plans. Once you complete the daily limit of 250 minutes, the telco will start charging at 30 paise per minute. Do make a note that you should have talk time balance to make voice calls after the FUP expiry. As noted, the plan comes with a validity of 28 days from the date of recharge. Another thing worth noting is the price of the plan differs with every circle. For example, in some circles, the price of the plan is Rs 88, while in some circles, it’s available at Rs 69. We’re expecting that the telco is currently in the process of rolling out this plan across the country which could be the reason why some users are noticing it for Rs 69. The Indian telecom industry has witnessed some major changes in November 2018. The top two telcos- Bharti Airtel and Vodafone Idea removed the good-old talk time recharges and forcing customers to make a monthly minimum recharge of Rs 23 or more. Tata Docomo also followed this suit and came up with combo recharges starting at Rs 23 like Bharti Airtel. Now this Rs 88 recharge comes as a relief for the users who recharge every month. It doesn’t provide any data benefit, but it does come with unlimited voice calling option which is something very high on the list of basic users. Also, the voice calling FUP of 250 minutes per day is also reasonable. We’re expecting Airtel to come up with something very similar in the next couple of weeks as Tata Docomo will soon be part of Bharti Airtel itself. Recently used MP Tata sim , roaming Mumbai. Latched it to Mumbai Airtel, not much impressed with the 3G speed. Although was happy with voice quality & seems like Tata network in mumbai has been deteriorated. Airtel’s 3G has deteriorated a lot, and I think it’s because they’re offloading the bandwidth to LTE. They aren’t bothered because 3G will cease to exist within 6-8 months. Truth. Only Tata DoCoMo users with 1GB/Day plan was making use of Airtel 3G network and hence Airtel decided to shut down it in favour of actual Airtel 3G customers by forcing them to use LTE. Even though it has started in few circles, it will take time to completely shut it down. It has not started yet in Mumbai circle. Don’t know about Maharshtea circle. +1000, Roaming is Chargeable on their Network.